We are based in Lymington and pride ourselves on providing unbeatable customer service while offering a wide range of quality vehicles. With a wealth of knowledge on both modern and classic vehicles. 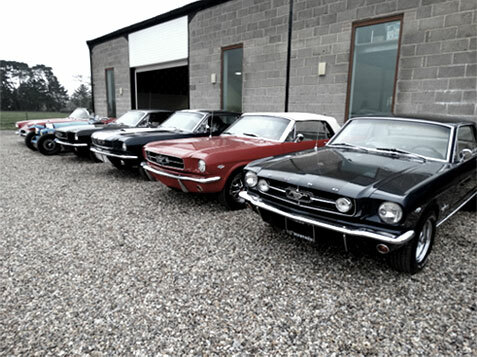 The large majority of our cars are vintage and have often had a life of their own. We also provide a walk round description of the vehicles if desired. In addition to this we will supply extra pictures so potential customers can gain a true understanding of the cars condition. Within this site you will find information on all the vehicles we currently have for sale, which is updated on a regular basis, listing our latest stock with images, videos and details. Please contact us for more information regarding any of the vehicles you've seen in our showroom or to book an appointment to view. 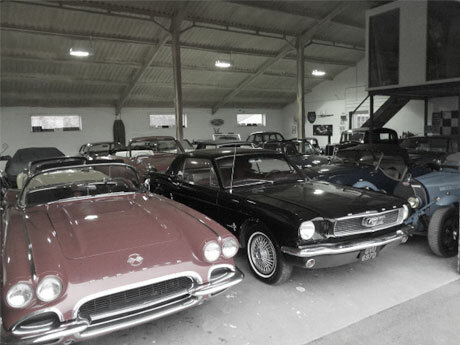 our vehicles for the complete car experience, full workshop facilities are also available. We stock a range of quality vehicles so feel free to browse our stock. Come and visit us and we are sure you will agree that our cars and service are second to none. *Most of our modern cars come with 3 month warranties and an optional years' warranty. James thank you for yr email. That is why I do business with M&M for precisely the fact that one still feels a customer after one has bought the car. Thank you. All your cars are 'honest' and yes easy to sort. If you can't fix that then you should not buy a car that is nearly 40 years old!. Thanks for the parts tip, I will make contact with them. We live in Felpham. I have used the MGOC in the past too. Need to find a some good local body and mechanical people as there are a few jobs I don't have the time to tackle. I will de 'rubber- bumper' this one. I have done it before and it is very straightforward and also very cost effective in terms of how it affects the cars value. All the best. Hi Martin, Thank you for your help re the immobiliser on Saturday, and please pass on my thanks to James too. It was a combination of loose connection on the car battery which tripped the immobiliser then the key fob battery being dead I couldn't turn off the immobiliser! After a lift to the local shops and a new CR2032 battery for the fob away we went, albeit over an hour later!! I have now found out more details about how the tracker/immobiliser works and have subscribed to the tracker service too, so hopefully I won't have too many problems like that again. I have booked the GTR into WKB Nissan in Waterlooville for a service on Thursday this week so if all goes to plan hopefully it shall all be finished that afternoon and I shall pass on your phone number. Their details for reference in case you need it are here. http://wkb.nissan.co.uk/contact-us/index.php Thank you for all of your help during the process of buying the car, it is very much appreciated and I would highly recommend you to anyone for a top class service. Kind Regards, Chris p.s. Loving the car so far, the power delivery is brutal and the technology is just staggering. Far surpassed all expectations. Hello James, thanks for the offer of the second owners email address, I think it would be a very good idea. The Jensen arrived here safe and sound and is already receiving attention ! Many thanks for an excellent service. Regards, Andrew.